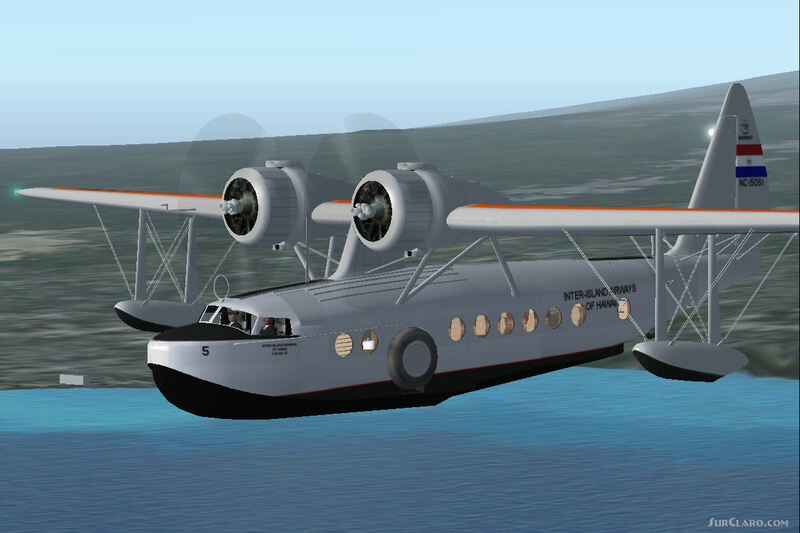 FS2004 Sikorsky S-43 NC-15061 Inter-Island Airways. Sikorsky twin-engine amphibian built in 1935. NC15061 was first of 53. 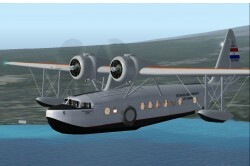 Used created by Inter-Island Airways of Hawaii. Carries 15 passengers. Top speed over 190 mph. Range 730 miles at cruising speed of 184 mph. Can take off in 900 feet, in 15 seconds. Set world amphibian altitude records in 1936. FSDS3. 5 model with virtual cockpit and passenger cabin. created by George Diemer.